I think it’s insane that everytime I argue with people about preserving biodiversity (or a given spieces) I have to do it by arguing about how it will benefit humanity. Where humans, where sentient, we should be able to do thinks and make sacrefises not only for our own good but also for the good of everything else even when it does not benefits us. Hostergaard and CJAB, how much sacrifice would be enough for us to count as sane and sentient? Any practical suggestions? If you have a good recipe to calculate such thing you may also be of help to Christians, Muslims or patriots that want to know just how much they must sacrifice to be good Christians, Muslims or patriots. there’s nothing arrogant about thinking of ecosystems as providing benefits to humanity, after all, they do. good luck if your going to try and convince the ‘biodiversity ignorant’ of the intrinsic value of all god’s species. ‘god’ had nothing to do with it, mate. No such figment of your imagination. And you are right that every one of those decisions will punish us for generations to come. But not cutting those trees, not releasing those CO2 molecules and not “wasting” those drops of water would also punish us for generations to come. The question is what punishes, or benefits, us more. The answer to this question is not self-evident. One doesn’t need to subscribe to the view that the Earth was placed in its current form *for* our eventual benefit in order to benefit from it. We can benefit from it and we do. That’s all. Rubbish to your rubbish. “Slightly inconvenience” won’t even begin to describe the food crises and natural disasters that are already occurring because of our modification of the biosphere. You cannot consume indefinitely without reaping the consequences of breaking the machine. Try reading what I wrote again, or perhaps I was unclear – sorry. What I meant is that any mitigation of these problems is at most a “slight inconvenience”. The answer to biopolitical’s question IS self-evident – the benefits of taking care of these things outweigh the costs of mitigation by many orders of magnitude. Nice fiery post CJB. Good to see some ‘byte’. I can understand your objection to using the word ‘service’ to really describe ‘function’ or ‘activity’. I guess it does imply slavery or servitude, but it is only a word to help communicate the essence of the function to those ‘self-centred’ humans. 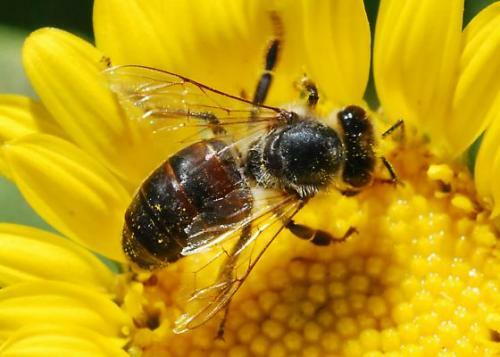 The bees also provide a ‘service’ to the plants and the birds that eat fruit and grains. I’m waiting for the response that says, humans are as much a part of nature as a bee and therefore everything humans do is natural. Because humans are natural, ‘converting’ forest for agriculture is just as natural as beavers damming streams (both are ecosystem engineers). Therefore, there’s no need to do anything because what we do is natural. Who cares what happens to the humans? The planet will bounce back and carry on fine without them. It did for millions of years! I think conservation is necessarily an anthropocentric notion, and as such, looking on the world from an anthropocentric viewpoint, whilst properly accepting that we depend on nature, is often appropriate. Viewing the activities of animals and plants as ‘services’ which we can lose through our own activities, such as ecosystem destruction, drives home our anthropocentric interest in maintaining those activities. Agreed, and as much as it irks me that (most) people can’t seem to readily identify with their dependence on functioning ecosystems, I think the abstractions are important. I once tried to convince myself that I should never be surprised by the manifestations of human stupidity; I am, however, constantly surprised.